The deep sloping lawn of the Manitou Springs Public Library is a park like setting which many of the local residents enjoy all year long. We, the Avenue Hotel B&B, are neighbors to the library witnessing all the extra activity it attracts. The summer green lawn provides a blanket for lovers, space for frolicking dogs, a resting place in the shade for exhausted tourists and a summer night live concerts. Winter, is no slumbering season, the hillside comes alive providing the best sledding in the area. Peeking out our warm Parlor window we are entertained by the bundled up kids, trudging up the hill dragging sleds, saucers or cardboard boxes to cruise downhill elated by the ride. Our favorite exhibition which draws us out of the warmth to spectate is the talent of the Snowboarders! The guys have creatively constructing a jump to bonk the picnic table , busting air trying to “butter the muffin”, and getting the grab. 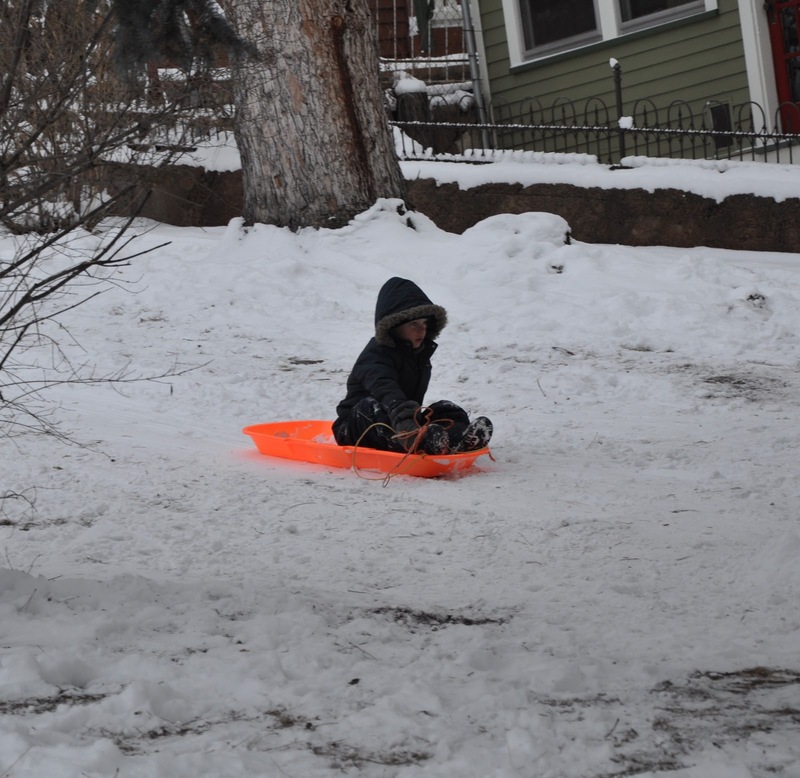 This entry was posted in Manitou Springs Public Library, Snowboarders, winter activites by admin. Bookmark the permalink.